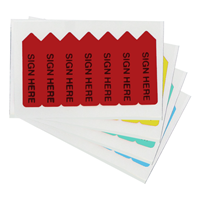 Arrow shaped page flags specifically point to and direct attention to where signatures are needed. 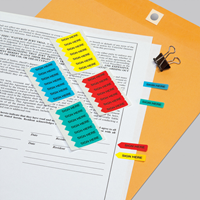 Color code your documents by using a different color flag for each person needing to sign. 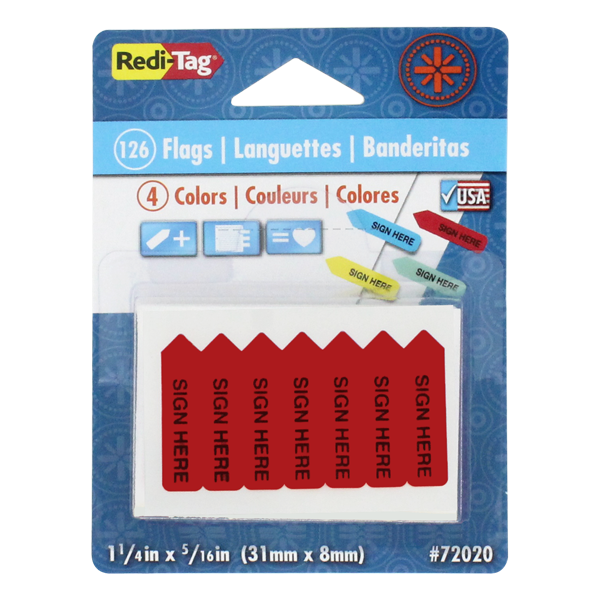 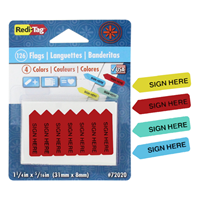 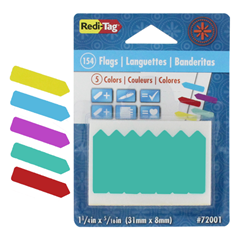 Sign Here 4-color assortment includes Red, Yellow, Blue, and Mint.